Led by the Chairman, Mr. R. L. Gaggar, the eminent solicitor, Sumedha's team today has over 100 professionals from the various spheres of finance, taxation, law and allied professions. The Board comprises of eminent members such as Dr. Basudeb Sen, Mr. Vijay Maheshwari, Mr. Prashant Sekhar Panda, Mr. Prabhat Agarwala, Mr. Anil Kumar Birla, Mr. Bijay Murmuria, Mr. Bhawani Shankar Rathi, and Ms. Garima Maheshwari. Mr. R. L. Gaggar, Chairman of the Board, is a front ranking and eminent solicitor. He is on the Board of many Blue-Chip Companies. Today, he ranks among the foremost legal brains in the country and his expertise and pre-eminence has been of considerable support to us. Dr. Basudeb Sen, has over three decades of association with the banking and mutual fund industry. He was the Chairman and Managing Director of the Industrial Investment Bank of India Limited and Executive Director of UTI. His overall expertise provides the organization with tremendous support in areas of Commercial Banking, Investment Management and Strategic Planning. Mr. Vijay Maheshwari, is acclaimed for his vision and dynamism. He has decades of interaction in various professional areas ranging from Finance, Audit & Taxation. A reputed Chartered Accountant, his experience in the financial sphere is of immense value in conducting day to day business. Currently, he is the Co-Chairman - Economic Affairs, Finance & Taxation Sub - Committee, CII-ER. Mr. Prashant Sekhar Panda, is a reputed Chartered Accountant at Bhubaneshwar. He has held top positions as Director of Bhubaneshwar Stock Exchange and as Chairman of Bhubaneshwar Branch of the Institute of Chartered Accountants of India. His wide ranging experience in the areas of Audit, Taxation and Project Consultancy is a key to unfold our professional expertise in greater detail. Mr. Prabhat Agarwala, is a Chartered Accountant and an experienced industrialist. He has great analytical, and problem solving skills and mentored his Company to higher growth path. Mr. Anil Kumar Birla, is a practicing Chartered Accountant with wide ranging experience in Audit, Strategy Formulation and Financial Planning. His keenness into financial details is a mainstay in business dealings. He has proven leadership skills for motivating teams to achieve Company objectives. Mr. Bijay Murmuria, a partner of Maheshwari & Associates comes from a solid financial background. As a practicing Chartered Accountant, he ably guides all issues pertaining to securities, shares, bonds and the money markets. His unparallel advice in regulatory issues and domestic business environment are pivotal to success. Currently, he is the Chairman of Financial Market Core Committee, CII - ER. Mr. Bhawani Shankar Rathi, a Wholetime Director of the Company, has years of experience as a reputed Chartered Accountant. This enables him to strategize on critical issues and policies pertaining to Law, Finance and Stock Broking. 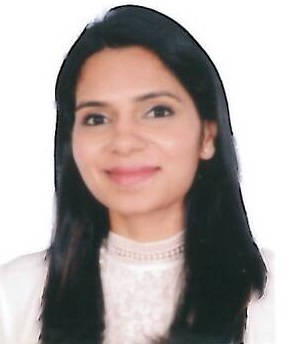 Mrs. Garima Maheshwari, has done her MBA from International Management Institute (New Delhi) specializing in Finance & Strategy. She has done her Bachelors from Sydenham College of Commerce & Economics (Mumbai). She has attended Stanford - NUS Executive Programme in International Management. She has 10 years of rich experience in Financial Services & Consultancy working as an Investment Banker in Singapore & Mumbai. She was with Australia & New Zealand Bank in Singapore for most years. In India she has worked with Barclays, Citibank & Hewitt Associates. She is also very active member of FICCI (YFLO) & CII chapters of Mumbai.She has excellent problem solving & analytical skills & pays great attention to detail.